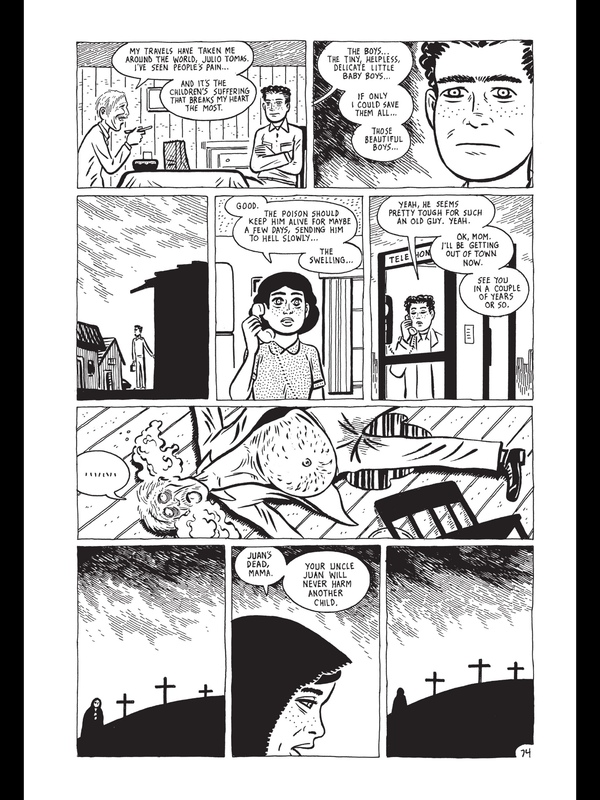 I somehow miss (missed) all the fun about Gilbert Hernandez' Locas and the rest of Love and Rockets – the one I did read was totally lame – so Julio's Day, his latest graphic novel looked attractive because it seemed very different from the main stuff – and ComiXology ad did its magic on me. 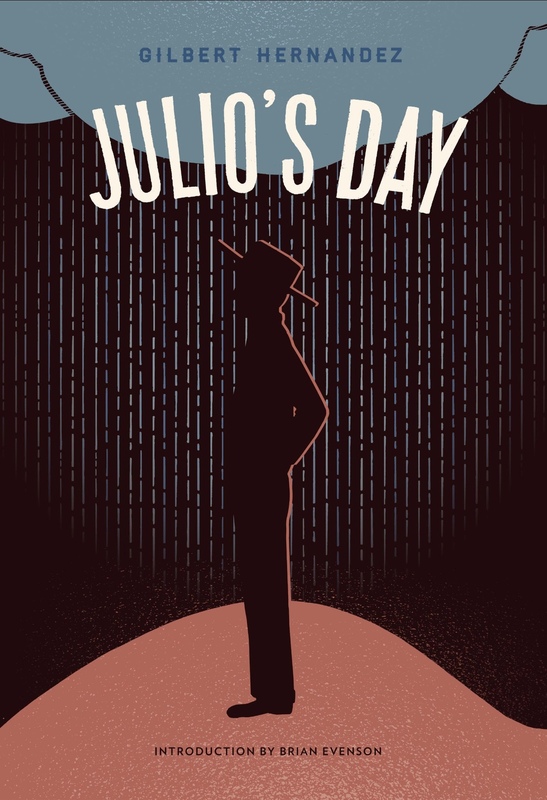 It's a 100-page long story about a Mexican American named Julio and the life of his family, beginning in 1900 and ending in 2000. A century in 100 pages – a book read in one sitting. However, parallels to historic events are minimal for my taste and not too detailed – part of scenery, I'd say. The story had a couple of peak moments when my eyes were practically glued to ipad screen – the first poisoning, the second mudslide, the vengeance – but other than that, a page-flipper at fast pace. The book reminded me a bit Keiji Nakazawa's historic masterpiece Barefoot Gen – I read the whole 10 volumes of the A-bomb saga – it has the same minimal approach to certain events in the story and quite a bit of gore drawings. But what is expected of a real Hiroshima survivor – and what he is repected for – has nothing to do with a certain Sr. Hernandez from Cali, USA. My final score – while a quick 60-minutes read, good drawings and all, the book is forgettable for my taste – save for one thing. 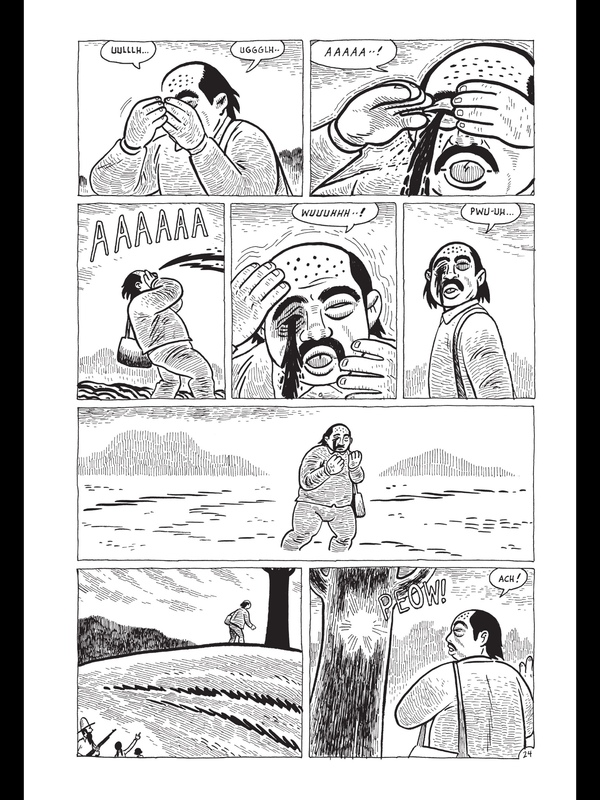 The blue worm poisoning (seems to be the invention of Hernandez mind – though some symptoms have clear correlation with those of elephantiasis). The blue worm poisoning! Man, that was creepy! Hope I won't see that at night, shivering in my bed at 4am in the morning. 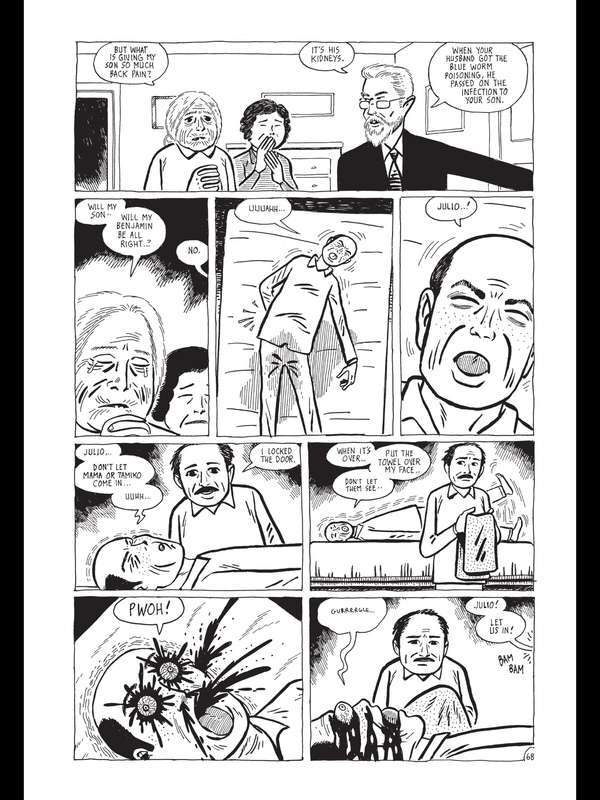 That I would be glad to compare to Tezuka's Kirihito, which equals one of the highest degrees of praise for a comic book in my universe. That alone a good reason to read it. Scary and sick! I had to look up blue worm poisoning to see if it was a true condition!